Sink & shower plunger, for residential sink, shower & floor drains, 1 piece black flat bottom unit. The product is manufactured in USA. Easy installation and easy handling. 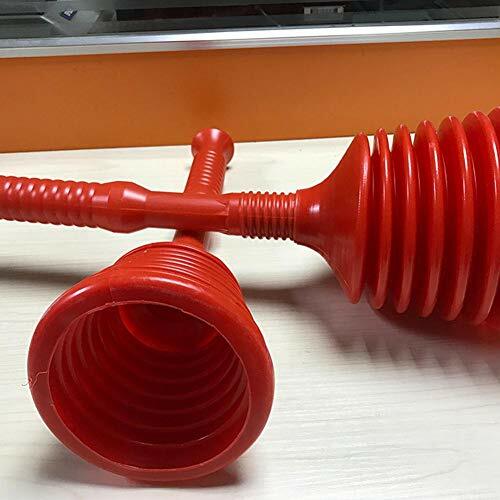 Brand: Master Plunger | Manufacturer: G.T. Water Products, Inc.
Warranty: 1 year limited warranty against defective material/workmanship. 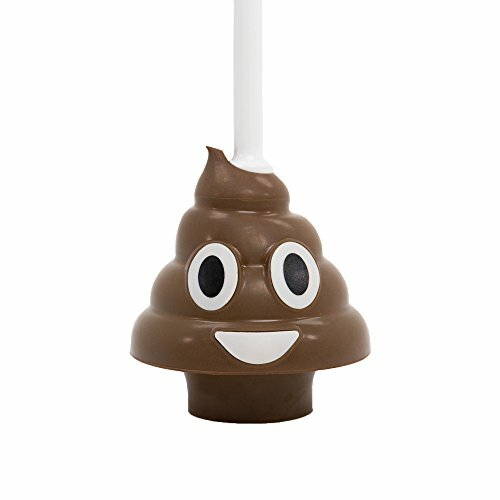 SurePlunge Automatic Toilet Plunger. Amazing CO2 Power. Easy As 1-2-3. Fits All Toilets - Great for Newer Low-Flow ModeIs. Best Toilet Plunger. Environmentally Safe. Decor Holder Included. The SurePlunge automatic toilet plunger is a high-tech way to clear clogged toilets in a safe, easy, and cost effective way. Unclog your bathroom toilet in an instant - literally, at the touch of a button - using compressed CO2. NOTE: This is not a toy. 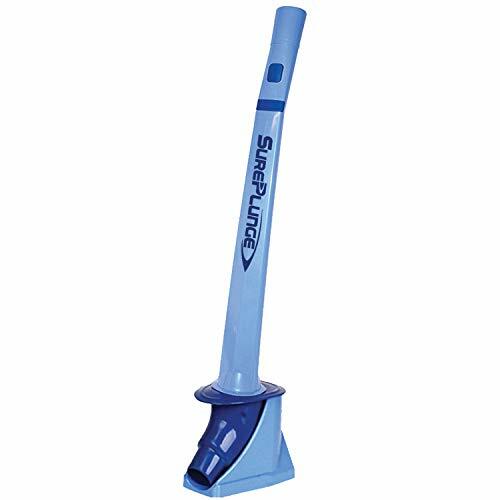 The SurePlunge automatic toilet plunger is a high quality, professional grade tool. SurePlunge forms an airtight seal around the drain before a single blast of compressed CO2 dislodges and clears the blockage. SurePlunge will clear even stubborn blockages standard plungers or rods cannot. It is Simple, Safe, and Highly Effective. NOTE: Each use requires a single use CO2 charger. Environmentally Friendly: No harsh chemicals or poisons. No strong ordors or harmful gases. 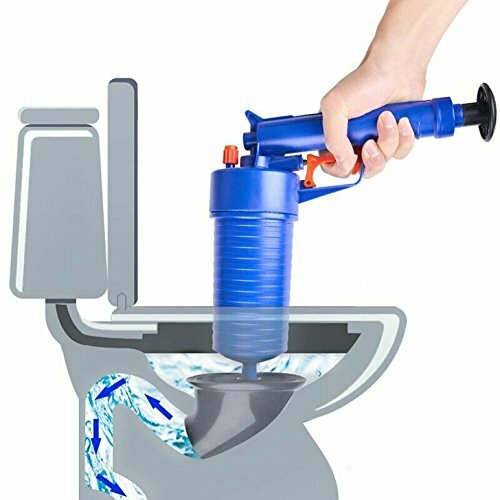 Use SurePlunge automatic toilet plunger to avoid costly plumber calls. Clear clogged toilets effectively yourself. The average plumber is $45 to $150 per hour depending job, timing and location. Yes. The unit uses a small amount-only 8 grams-of compressed CO2, an innocuous gas that is used to carbonate drinks. The unit delivers the correct level of air pressure that is enough to push the water forward and dislodge blockages. The SurePlunge is specifically designed to deliver a pressure that should not damage pipes or seals in your appliance. Although it may appear powerful, it is not as destructive as rods or vigorous plunging and under normal clog conditions, will not damage properly installed standard plumbing. Different. SurePlunge automatic toilet is not a traditional plunger. It's powered by Co2 gas to blast away the most stubborn clogs. See what customers are saying about the SurePlunge. Check out the feedback and reviews for yourself. Powerful. 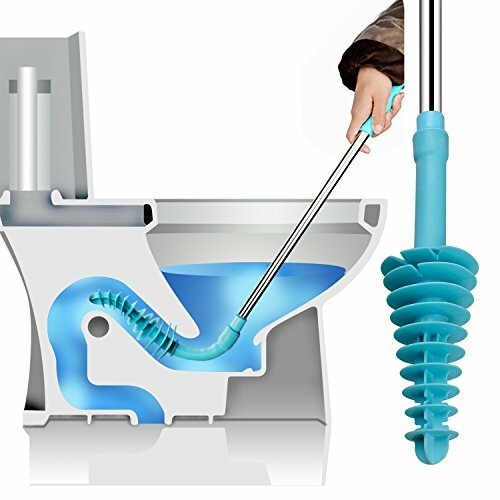 SurePlunge automatic toilet plunger uses a single-use, replaceable 8g Co2 cylinder for its unclogging power. It's fast and effective. It Really Works. Check customer feedback out for yourself. Practice on a clean toilet first to better be prepared. Effective. Works with both older & the newer, low-flow style toilets. 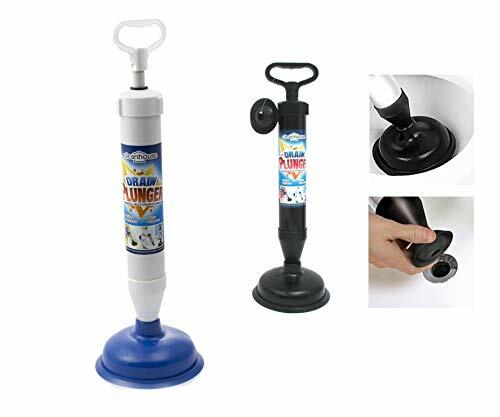 SurePlunge automatic toilet plunger is great for those annoying slow draining toilets which get clogged all the time. Easy-To-Use. Quickly & easily unclog stubborn toilets. 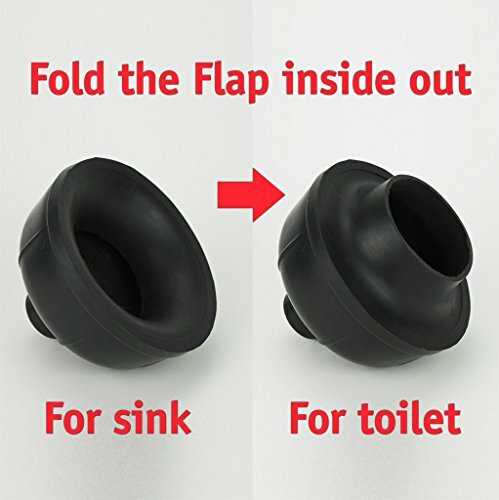 Just insert the SurePlunge fully into the clogged toilet, lean the Wand Handle downwards (this secures it in place), then, while holding it steady, Press the button to release the gas - clog is cleared! Bonus. 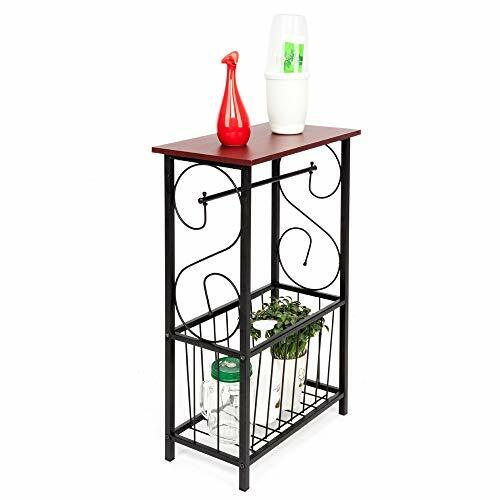 Included is the Decorative Plunger Stand ($10.99 value). Also, included is a Starter 3-Pk Co2 Single-use Chargers ($5.99 value). You save with a bundled MSRP of $66.99. Warranty: Manufacturer defective replacement warranty (1) year from date of purchase. Unopened items may be returned for full refund. Open item refunds and returns - sorry, but we are unable to accept used items for refund and the item must be disposed. This is done for the protection of the customers, the fulfillment center associates, carriers, and the seller. Disposal is necessary for one of the following reasons: 1.) The unit is a safety hazard. 2.) The unit is a health hazard. 3.) The unit is a liability risk. OXO was founded on the philosophy of Universal Design, which means the design of products usable by as many people as possible. Today, OXO offers 1,000+ products covering many areas of the home, all created based on this principle. The company has been recognized globally as an example of how a well-executed Universal Design philosophy not only creates products that are beneficial to end users but is also a sensible business model. 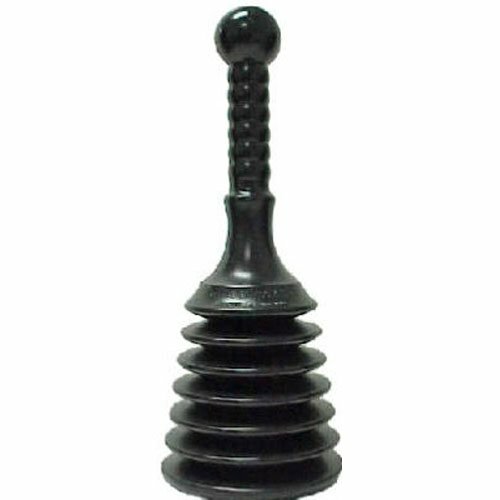 we use a natural rubber that is tough and durable in our plungers. You may notice an initial strong rubber scent when you first receive your product. We recommend leaving the plunger outside in the sun to neutralize the odor before placing in the bathroom for use! 1 x natural cotton bags for packing . Widely Used --- Fits all toilet Kohler, TOTO, American Standard, and all others with bonus of small heads suit for bath sink ,kitchen sinks . Update Version --- Big sucker can be used in reverse to get more suction ---- with 304 Stainless steel handle , its more durable than other Market version ,and get more seal when using. 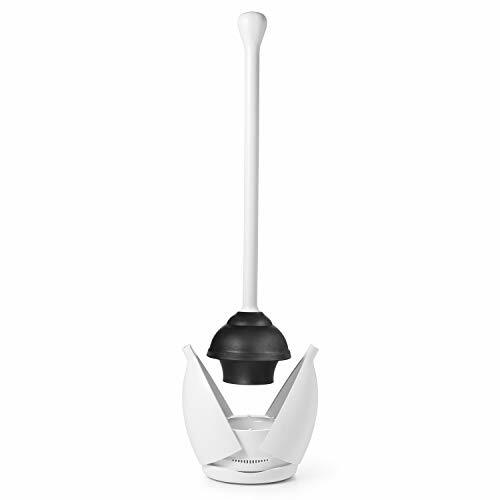 Easy to Use --- with Humanize handle ,and 2 Interchangeable Rubber Plunger Heads. More than 18 month quality warranty , freindly after service for you . Natural Material: At Samshow, it's important for us to use materials that are safe to be around the whole family. For this reason, we use a natural ABS,TPR and Stainless steel in our plungers. Innovative Design: Repeated use, stainless steel handle with long handle design, convenient and effort, durable, comfortable grip, easy to force, can be suspended storage, When not in use can be placed, dry and hygienic, ABS handle, wavy design, anti-skid wear, more effort. "Clears blockages fast, a must have bathrooms accessory. Yes it's very large but the design is excellent. 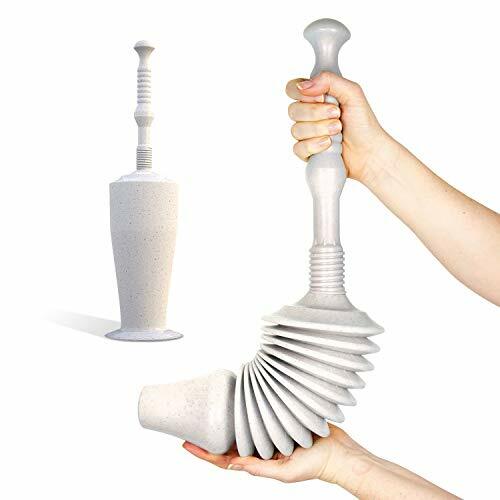 It's what our handyman calls a 'plumber's plunger' and it comes highly recommended"
"We heard about the beehive style plunger and it was the our last chance to clear the clog on the cheap before calling in the professionals. Two pumps and boom! Unclogging has never been easier"
"Who would have thought a piece of plastic could work so well. We had a rather heavy clog and the plumber's wanted $80 to fix it. This works by vacuum through the accordian style. Better than industrial acid liquid as it doesn't damage the toilet. Well worth a shot." "Toliet blocked. Other tools didn't reach around the bend. Simple to use. Must have unblocking accessory." "It could do with a caddy, and cleaning it after use isn't easy. Other than that it works well, just like commerical bathroom plunger. 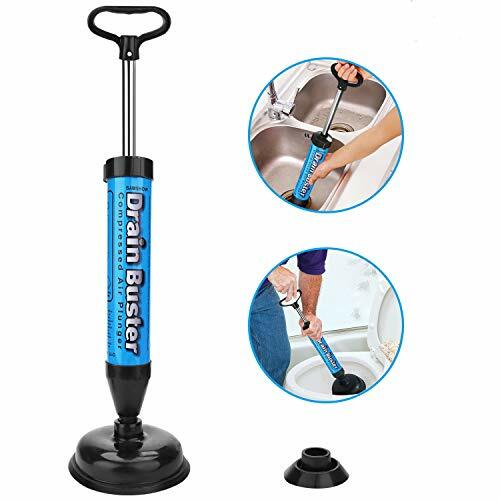 The handle is quite small but once plunging you have a grip you are finished in a few seconds so not a problem"
"We have tried so many plungers on our commercial toliet. We tried snake style unclogger, auger, rod style, rubber suction plungers, and were considering a fix to the macerators. In the end all it took was luigis super dooper blaster! Cleared our drain with no effort. Superb"
"Just dip the head under the water, pull back so the mouth applies suction from under the water, then push back down with force. Unblock nice and easy"
YES, IT ACTUALLY WORKS - What makes this different to a traditional plunger is that you are pushing water at the blockage - not just air. The benefit of this is that you don't need to form a seal and you get a lot more power. It works on all different types of toilet - included low flow, square bottom and and whatever fancy loo you've got in your home! THE BEST SELLING PLUNGER IN THE UK - Luigi's is a huge brand name over the pond and we're trying our best to impress you guys too. We've had over 1,000 positive reviews on this product already, and we're hoping you'll join them. We've tested and confirmed it's 8x stronger than anything else out there. It just looks a little strange, that's all. EASY TO CLEAN AND STORE - When you've finished your dirty work, add a little bleach to your toilet, then plunge the clean water for a few seconds. The force of the plunger is enough to clear any residue, and the bleach will clean the bellows. MONEY BACK GUARANTEE - if it doesn't work for you because your... blockage is too... big... then please get in touch with us, we'll try an alternative product or issue you a full refund. That's the Luigi's Guarantee! 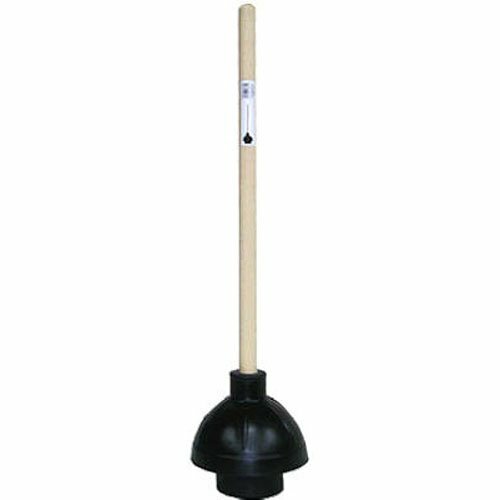 Junior heavy duty 6 inch force cup plunger with 19 inch wood handle, bulk packed. The product is manufactured in china. Easy installation and easy handling. Small size does not take up space, beautiful and practical. Sturdy and durable material, not easy to break. 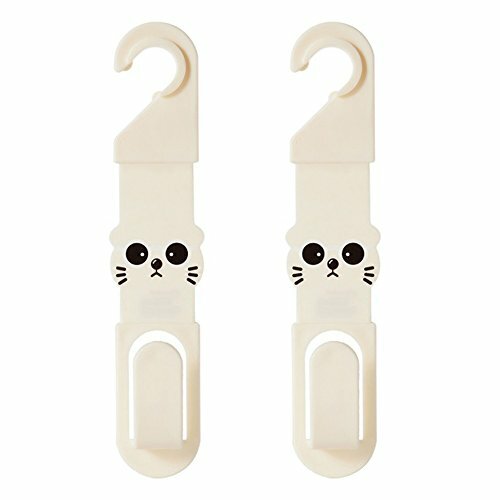 With cute cat's eyes. Simple and easy to install. 100% satisfaction and money back guarantee. Any Issue or comments please feel free to contact with us on Amazon. Suitable for different size of pipelines, washbasin, sink, bathtub, floor drain, squatting pan, toilet and etc. Cups, candles, magazines, and extra rolls of toiler paper will never pine for a place to call their own with this bath table. Handsome scroll work is the centerpiece of the black metal frame, whose legs feature non-mar feet to keep floors unscratched. At the bottom of the frame, a metal cage easily holds magazines or other toiletries, while above it, a removable rung holds two rolls of toilet paper. Meanwhile, the top of the table is a walnut-colored surface, which can hold items such as cups, candles and toothbrush holders. So what are you waiting for?